Chennai Super Kings on their way to the fourth match against Rajasthan today. However, before going to the field against Rajasthan, the black shadow of the match was seen in the Chennai camp. 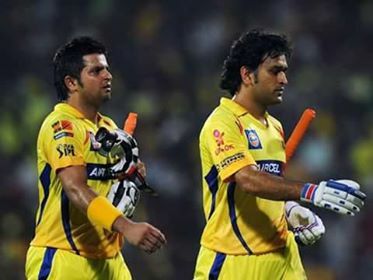 Suresh Raina was already in the limelight and Dhoni also played in the match against Punjab. But hopefully these two people can be seen in the field today. Batting coach Mike Hussey has said that Dhoni has done practice in the nets and his injuries are not so serious, so it is expected that today he will be available in the field. On the other hand, Raina did not play against Punjab for the injuries. However, he is recovering slowly, although he is still not fully fit, but he can also be seen in the match. Mike Hussey has indicated that he would not be kidding on today's field.